It’s hard to believe that Christmas is only 47 days away. Really. And if you’re like some people, you’re already mentally compiling gift lists in your head. I know I am! Like I do every year, I wanted to stress how much good all of us can do by giving fair trade gifts this year. When you give a fair trade gift, you not only show someone you love them, but you also help support a artisan somewhere else in the world. Chances are, it’s a woman with children. So, over the next few weeks I’ll be highlighting some fair trade items that I think would make a wonderful gift. And today I wanted to focus on a favorite of mine: jewelry! Here at Earth Divas, we don’t focus a lot on jewelry; our speciality is fair trade bags. But we DO have some really lovely and unique fair trade necklaces that some of our artisans have made, and our Tegua Necklace is one of my favorites! 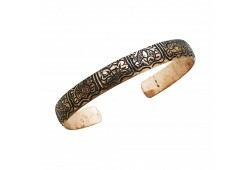 This amazing brass cuff is offered by Ten Thousand Villages. It’s handmade and fairly traded from Nepal, and it’s covered in symbols that are important to their culture. Some of these symbols are for wisdom, compassion, and protection from illness. I would love a bracelet like this! 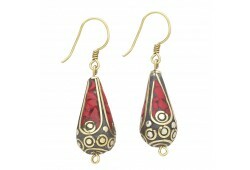 These lovely earrings are also sold through Ten Thousand Villages. It’s hard to see the picture up close, but the red in these earrings are actually red stone chips, surrounded by brass metalwork. 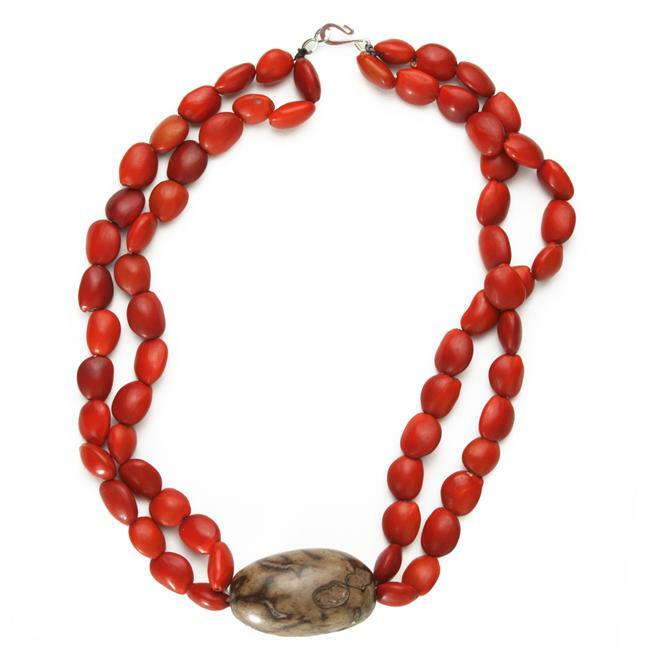 Continuing with the red theme, our Tegua Seed Necklace is another favorite of mine. 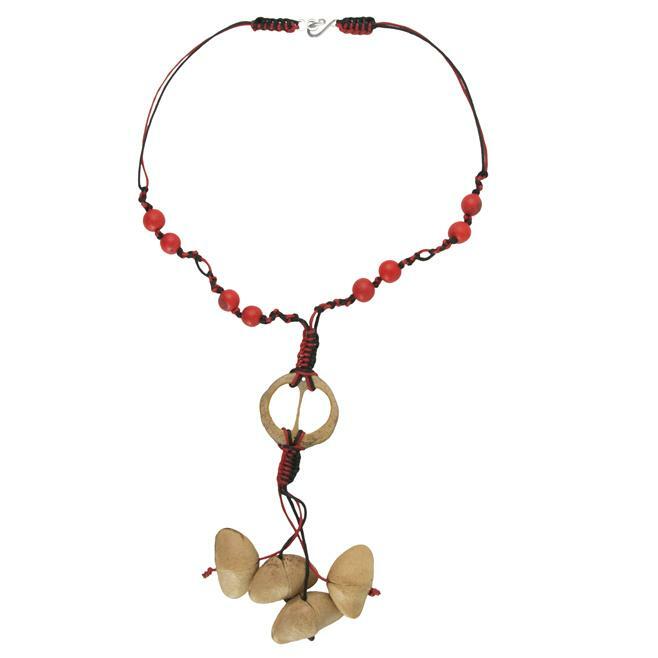 This necklace is handmade in South America, and is 100% fairly traded. This would make a wonderful gift for the naturalist in your life, or anyone who is passionate about supporting global artisans with fair trade.